Wet-glue specialist converter Print-Leeds has moved premises in the first part of an ambitious five million GBP (6.6 million USD) investment plan which will double its production capability. The company entered the wet-glue label market when it acquired S&C Labels five years ago, which trebled its turnover. The new four-acre site in Bramley, Leeds, is half a mile from its original premises in Pudsey. The new site comprises two 30,000 sq ft units, one of which Print-Leeds will fully occupy by the end of this year. The office, production facilities and the digital division have already moved and the company’s current Heidelberg 7-color litho press is due to be dismantled and moved during the Christmas break. The company has ordered a new Heidelberg XL106 7-color with coater which will be installed alongside the existing press, and both will be up and running for the first week in January. This will give the firm double the production capacity, streamline production, provide greater flexibility and will bring the all-important contingency option in-house for the production of wet glue labels, composite tube wraps, litho box laminates and all the litho plastics work. 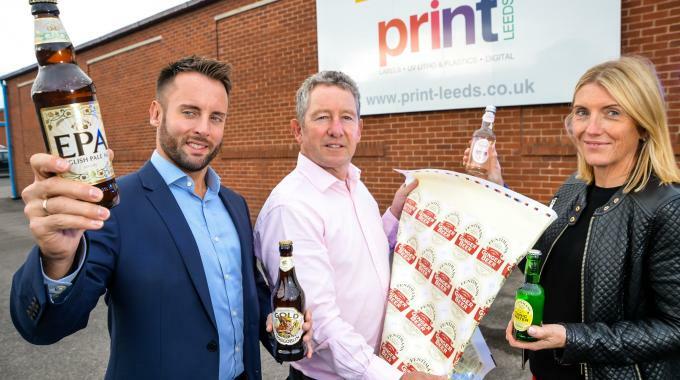 Property consultant Eddisons has completed on the sale of Print-Leeds’ old premises and the purchase of the new, with a combined sale price of 2.8 million GBP (3.7 million GBP).